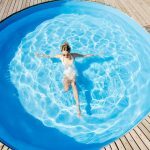 The possibility of someone drowning in the pool is usually the greatest fear pool owners have when it comes to pool safety. Thankfully, there are some proven strategies for lessening the chances of this type of tragedy from occurring. 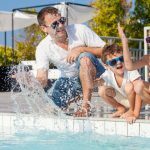 These tips are especially crucial for pool owners who have young children either residing with them or living in their neighborhood. 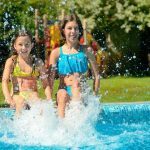 In our second article in our series on Swimming Pool Safety Essentials, we will be sharing some safety measures you can implement to help prevent people from drowning in your backyard pool. There may be no more vital piece of safety equipment for your pool than a strong gate that young children can’t easily figure out how to open. Check at your local pool equipment supplier to find an affordable, attractive gate solution that will surround your entire pool area. Make sure to go with a style that’s specifically designed for safety, not just for aesthetics or privacy. This type of gate should be able to keep young children and pets from entering your pool area when you’re away from home. 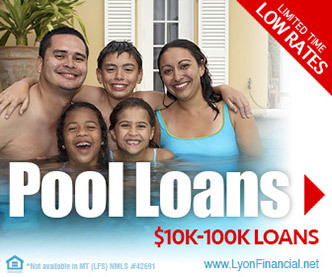 Pool gates are also a great selling point if you ever choose to put your home on the market. 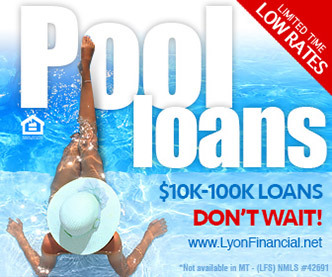 A secure pool cover is another safety item you may want to purchase for your pool. 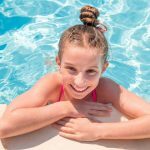 Pool safety covers offer an extra layer of protection should any child or pet manage to make it through the gate if it’s ever accidentally left ajar or not fastened properly. These pool safety covers are constructed from a piece of snug-fitting canvas that is strong enough to hold up a person’s entire body weight. Note: there are other types of covers that are meant to prevent ultraviolet sun rays or debris from entering your pool. 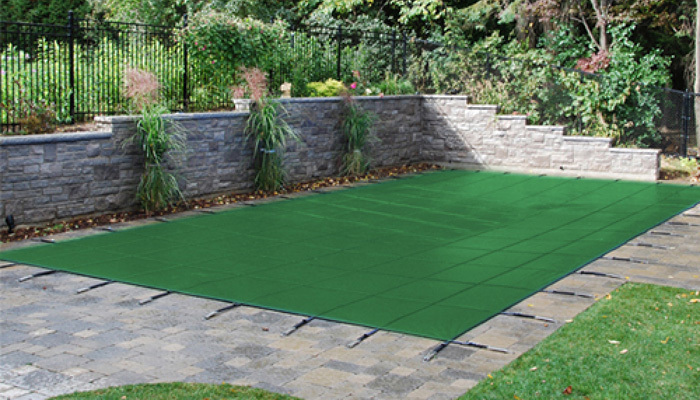 These covers are not recommended for safety as they don’t secure tightly to your pool and they’re not designed to prevent entry into the pool. If you plan to keep your pool open at night, installing bright lights is necessary to ensure pool safety. A well-lit deck and pool area will make it easier to properly supervise the pool area. You should also include internal lights in your pool to illuminate the entire pool from top to bottom. Motion detectors can set off an alarm when a person enters the pool or, depending on which type you choose to go with, even when they touch the outside rim of the pool. These detectors float in your pool as buoys. When the motion detector is turned on, they set off loud alarms. They can be turned up to a high volume to quickly alert you to any potential danger no matter where you are on your property. 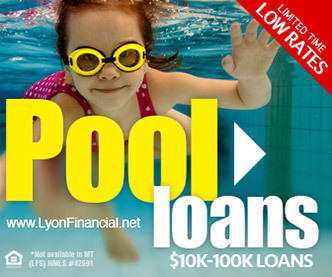 No safety feature can replace the need to teach children how to swim. 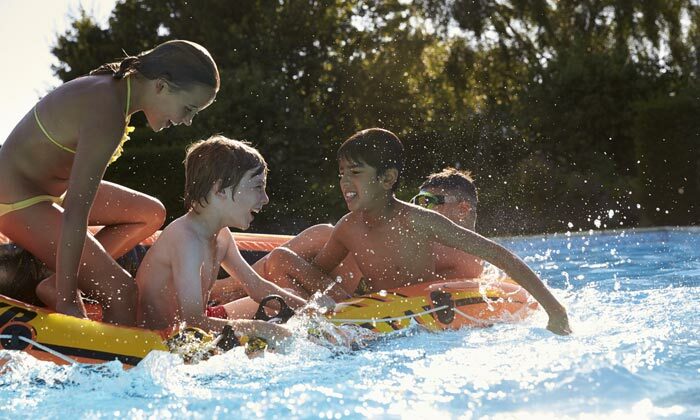 If you own a pool and you have children or grandchildren who use it regularly, enrolling them in swimming classes at your local recreation center or municipal public pool can give them an opportunity to enjoy spending time in the water safely. A word of caution is in order on this point, however. Just because a child has been taught how to swim doesn’t mean they should ever be left alone in a pool. 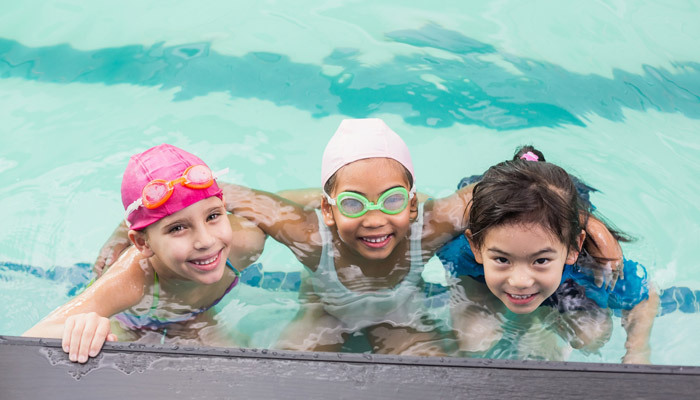 Children who know how to swim still require adult supervision the entire time they’re swimming. 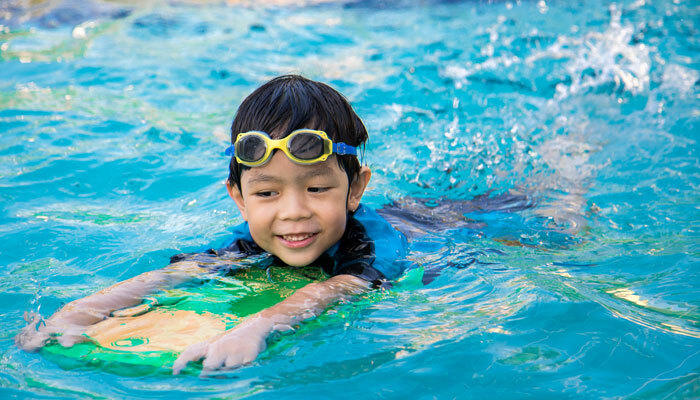 Following these safety tips can offer peace of mind when it comes to drowning prevention. In the third installment of this four-part series on pool safety, we’ll be exploring pool chemical safety measures.